RUNNING FROM THE HEART. ETHNOGRAPHIC RESEARCH STUDY. A multi-disciplinary exploratory project that spanned research, analysis, and initial synthesis. We began our research with a narrow scope: “The culture of marathons in Savannah,” but quickly realized that we needed to reevaluate. The bulk of local races are composed of 5Ks—not marathons— with a wealth of other races ranging from 1 to 100 miles. The scope was widened to “the culture of running in Savannah,” encompassing a greater range of activities and trends. The plan was to get to know different kinds of runners—not just as runners, but as people. Research was divided into secondary and primary research. The secondary research goal was to find background knowledge of national and local running culture, and its evolution over time. Drawing on secondary research, primary research began by identifying several core research questions and establishing an initial intent: to understand the dynamics of Savannah's running boom. 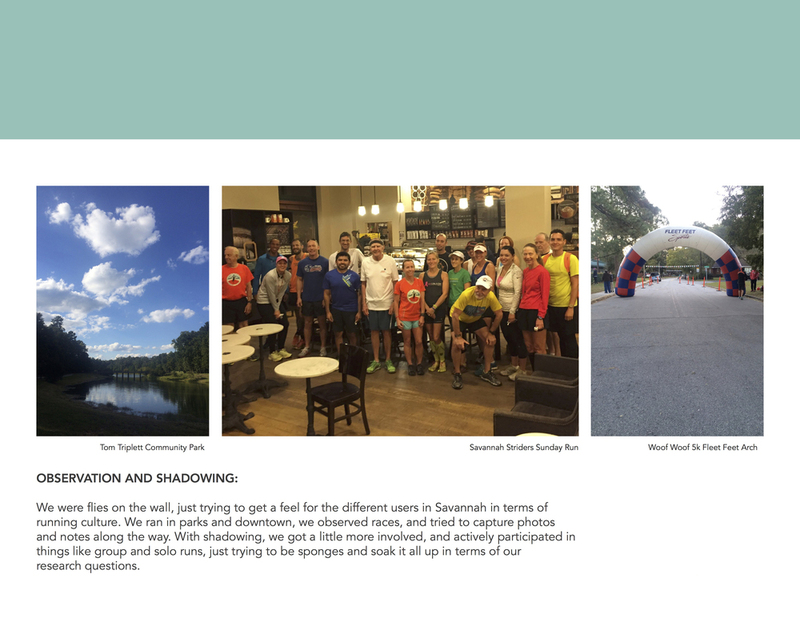 Borrowing the ethnographic methods of observation, self-reporting and interviewing, data started to be collected directly from the Savannah running community. With primary and secondary research complete, it was time to analyze the data. In an intensive process spanning two days and many hours, the "Working Wall" was broken down and then painstakingly regrouped by each data point, seeking deep connections. After the data was “affinitized” according to underlying themes, the next task was to focus those themes into specific insights. Using the affinity model as guide, core points were picked out and a mind map centered around eight initial insights was created. Detailed descriptions were then typed up, along with related opportunities, and possible design concepts for each insight. 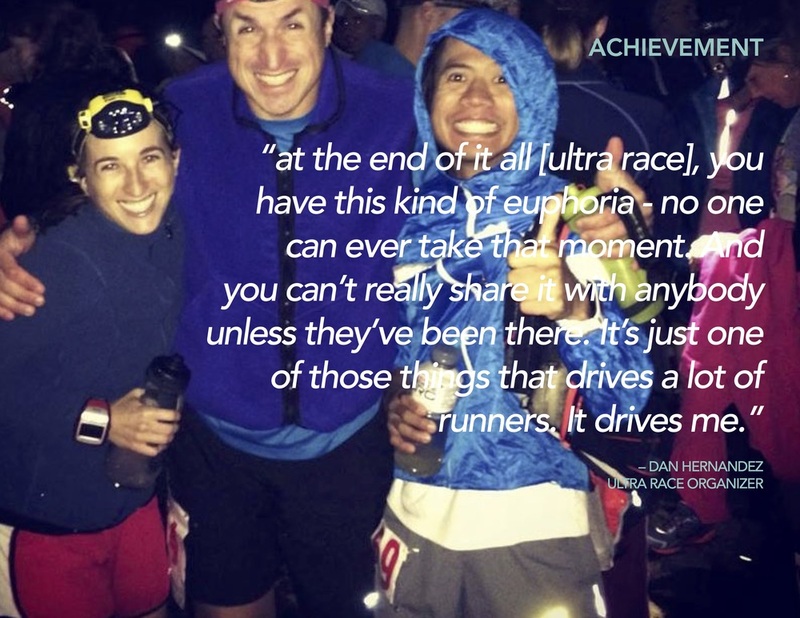 The research revealed three key motivations driving runners: the desire to do their personal best, to make a difference in their community through racing, and to connect and bond with others. Each driver is associated with its own set of overlapping values. Often people begin running for one reason (health), but stick with it for another (the sense of belonging) they feel as a member of their local running group. At every level, from beginner to advanced, running is about empowerment.